Obituary for Wayne Johnson | Hanson & Dahl Funeral Home, Inc.
Wayne Johnson, of Boyd, died Tuesday, January 29, 2019 at the St. Cloud Hospital at the age of 70. 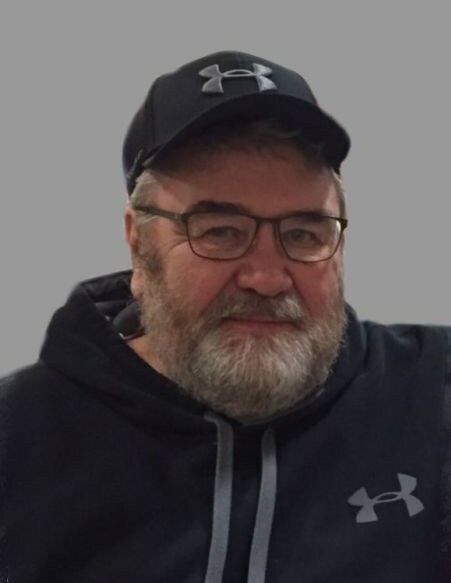 Funeral services will be held on Monday, February 4, 2019 at 10:30 AM at St. James Catholic Church in Dawson. Interment will be in Hazel Run Lutheran Cemetery. Visitation will be held on Sunday, February 3, 2019 at Hanson & Dahl Funeral Home in Dawson from 1:00 PM -5:00 PM. Visitation will continue one hour prior to services at the church on Monday. Wayne’s family invites you to a celebration of Wayne’s life on Saturday, February 2, 2019 at the Rusty Duck in Dawson from 6:00 PM - 9:00 PM. Memorials are preferred to the Gorecki House in St. Cloud, or Hazel Run Lutheran Cemetery. To know Wayne is to love Wayne. Ask him how his day is going and he will tell you he’s livin’ the dream. He was a man of simple pleasures and his life reflected that. Wayne Gordon Johnson was welcomed into this world on April 20th, 1948, in Granite Falls MN. The oldest child to Gordon and Orvella (Long) Johnson. He was a wonderful big brother to Brenda and Brian. Wayne graduated from Clarkfield MN, home of the Cardinals, in 1966. After high school, Wayne continued his education at Canby Vocational School. Even at his young age, he was stubborn. He decided to enlist into the Army, as he was not going to let the government draft him. He was in the 101st Airborne Division as a paratrooper. (He reminded his daughters whenever they get on an airplane, “not to worry, jumping is in their blood.”) Upon returning home from Vietnam, he landed in the Twin Cities and secured a job at Rogers Engineering, where he learned his lifetime trade. In 1972, Wayne met a feisty little redhead named Mary Deon Gilbertson, and on a cold January day in 1973 they were united in marriage. Wayne always dreamed of having his own family of wrestlers consisting of 6 boys. Surprise, surprise… along came 3 girls- Jody, Jill and Jolene. In March of 1974, Wayne started his own manufacturing business in Canby, MN. He then moved his business and family to Dawson in 1977, choosing to make the Dawson-Boyd area his forever home. Wayne’s life was changed drastically in 1991, after losing Mary (Ma). Even in great sorrow, he found joy in raising his three girls, golfing, bowling, playing cards, hunting, and spending time with friends. In 2005, Wayne met a very special lady named Sally Westre. Together, they enjoyed almost 14 years of life’s adventures. However, the ultimate loves of his life and pride and joys were his 9 grandchildren and 2 great grandchildren. A typical weekend for Wayne consisted of following his grandchildren to their many sporting activities, but if he had a free Saturday morning, you could find him in his usual chair, having breakfast, and pulling tabs with his friends at the Rusty Duck. In early 2018, Wayne chose to live a less stressful life and decided to turn the reigns of his business over to his son-in-law and daughter Randy and Jody. In April 2018, at his 70th birthday party, Wayne saw the impact he had on others. With over 450 guests, he realized so many people appreciated his dry wit, sarcasm and big generous heart. It was not likely you would find Wayne at church, however, he donated to many, he fought for our country, visited the sick and elderly, drove people to their doctor appointments, sent cards and flowers to people who needed a smile, cheered for the underdog, gave to the less fortunate, showed up when needed without being asked, and did all these things without anyone watching. That’s a true judge of his character. On January 29th, 2019, Wayne left his legacy to those he loved. Wayne is survived by his three daughters: Jody (Randy) Moseng, Jill (Kevin) Kemen and Jolene (Jason) Sorenson, Grandchildren: Kayla (Eric) Anderson, Cameron (Mattiah Jons) Kemen, Jager Sorenson, Jordy Sorenson, Jayda Sorenson, Kyan Moseng, Nolen Kemen, Paxton Kemen, and Hudsyn Moseng, Great- grandchildren Scarlett and Emmett Anderson, sister Brenda (Ken)Haskamp, girlfriend Sally Westre and her children Tracie Westre and Angela Wilson and their families. Wayne also had numerous other family and friends who loved him. He is preceded in death by his wife, Mary Deon, his parents Gordy and Orvella, an infant brother Brian, and in-laws Robert and Patricia Gilbertson. A LIFE WELL LOVED IS WORTH REMEMBERING!